In the world of Beyond Flesh and Blood, the 22nd and 23rd century have given way to mass, large-scale 3D printing that led to these precision-engineering mech frames being built, with the MK. 2 as the posterboy for this in the United Global Remnant forces. Faster, agile and more dextrous than the Mk.1; the Mk.2 Engineering Frame is often labelled as the baby brother of the Mk.1. Building on the mechanical innovation of the Mk.1, the Mk.2 trades a little brute strength in favour of finer control and precision. Extendable arms allow it a much longer reach with hands that have superior manual dexterity – invaluable for operations that require a higher level of precision. 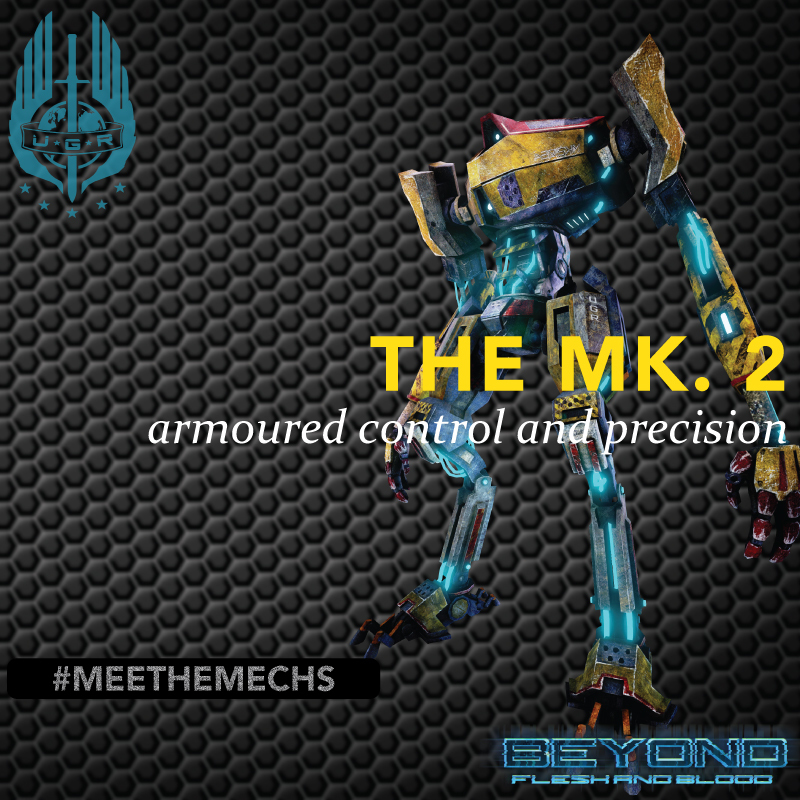 The Mk.2 Engineering Frame is also heavily armoured and immensely strong. In fact, it would hold the title of ‘Powerhouse’ if not for the existence of its big brother the Mk.1. Read on for the features of this mech. *Information: Detection system highlights the nearest enemy within a set range and paints / outlines the threat, all friendlies in set range painted / outlined. *Information: Single fire missile system up to a maximum of four.